Most employees in Chicago, Illinois, know they have the right to seek compensation if they are injured at work. However, beyond that basic knowledge, many employees know little about the state’s workers’ compensation laws. Most employees, especially those currently facing injuries, can benefit from learning about their rights under the Illinois Workers’ Compensation Act. Many employees wonder what kind of injuries and circumstances qualify for coverage. Illinois follows no-fault workers’ compensation laws, so the fault of the employee and employer are not considered when benefits are awarded. However, an employee must clearly prove that an injury arose out of the course of employment. Employees can seek compensation for repetitive stress injuries and pre-existing conditions worsened by a job’s particular demands. 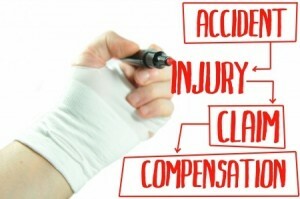 For these claims, employees do not need to identify a specific accident that caused the injury. It is also common for employees to have questions about the workers’ compensation benefits available. Employers must pay all reasonable medical costs associated with workplace injuries. While they are recovering, employees are entitled to Temporary Total Disability or Temporary Partial Disability benefits. Employees who are permanently disabled can seek Permanent Total Disability or Permanent Partial Disability benefits, depending on the extent of the disability. Employees who can no longer perform their current jobs are also entitled to coverage of vocational rehabilitation expenses. Many employees have additional questions about the process of making a claim. After an injury occurs, an employee must provide notification to his or her employer within 45 days. The Illinois Workers’ Compensation Act requires employees to make a claim within three years of the date of injury or two years from the last date any benefits were paid. If any injury occurs gradually over time, the deadlines apply from the time the injury was discovered. Employees who are uncertain about filing a claim should understand that the law protects them against being fired or otherwise discriminated against for making the claim. Employees should also know they are not suing their employers; Illinois law expressly forbids this. Employees who file claims are simply seeking benefits from the insurance company providing the workers’ compensation policy to the employer. Injured employees can best protect their rights by seeking qualified legal help. Workers’ compensation attorneys have experience dealing with insurance companies and helping injured employees receive all of the benefits they are entitled to. An attorney can also ensure that an employee does not make missteps in filing the claim or accept too small of a settlement. Employees who have already had claims denied may especially benefit from seeking legal help to improve their likelihood of winning an appeal.